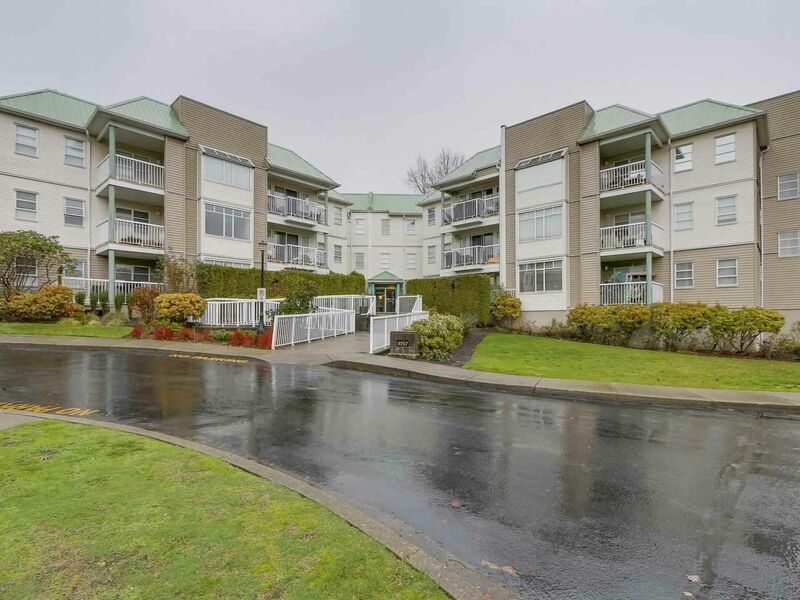 Ground floor spacious 2 bedroom 2 bathroom end unit with a huge patio. The park like setting is like having your own backyard and living in a house. Laminate flooring throughout including the bedrooms. Gas fireplace with a beautiful mantel, crown moldings, updated kitchen with breakfast nook and tile flooring and a redone bathroom. Fantastic central location close to transit, recreation, shopping & schools. Well managed secure building with two underground parking stalls.